Back in the day, history was always one of our favorite subjects in school. Nowadays, we focus more on fashion-related history, but we still love a good tale from the past. So, we were instantly taken by this Digby & Iona cuff from their new War of 1812 collection. The NYC line features an expertly curated range of jewelry, inspired by the battles fought 200 years ago, when the US was at war with the British Empire, and the pieces, which range from $60 to $440, are reminiscent of the treasures soldiers would carry into their battlefields. No, we know. We think it's cool, too. The best part? 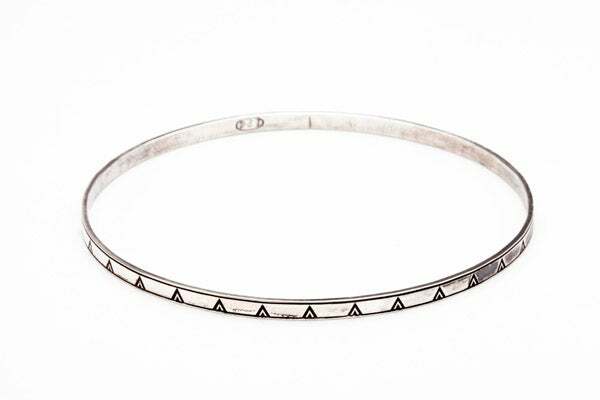 We’re giving R29 readers the chance to win the teepee bangle, worth $120. To win, just shoot us a comment below, telling us what you're planning on wearing tonight — the creator of most awesome 'fit will win the cuff. Hey, it's Saturday night, right? Time to live (and win!) a little.